Detention centers like the one in Etzion are often used by the Israeli occupation to confine newly arrested Palestinians under interrogation or prior to charging in military court or the issuance of administrative detention orders without charge or trial. Amid the growing number of mass arrests carried out by the Israeli military (there are now over 7,000 Palestinian prisoners held by the Israeli occupation), the occupation military forces have been holding an increasing number of Palestinian prisoners in these detention centers, in crowded, unsanitary and unsafe conditions, often lacking basic personal goods and winter needs such as blankets. 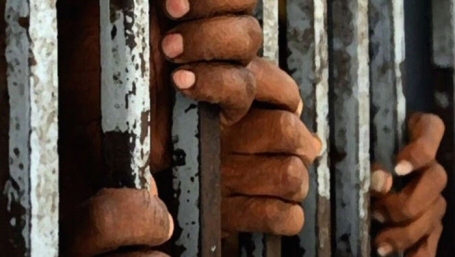 Two weeks ago, 21 Palestinian political prisoners held in Huwarra jail – another detention center – launched a hunger strike that continued until their transfer. Joe Catron, journalist, activist and Samidoun organizer, conducted an interview with Press TV, in which he discussed Palestinian political prisoners’ experience of confinement, torture and abuse and the escalating Israeli attacks on Palestinian resistance. He also addressed the complicity of the United Nations and international governments, including the US government, in the ongoing Israeli oppression of the Palestinian people, and highlighted the international campaign to call upon the United Nations to end its contracts with G4S, the security corporation that provides security systems to Israeli prisons, checkpoints and detention centers.